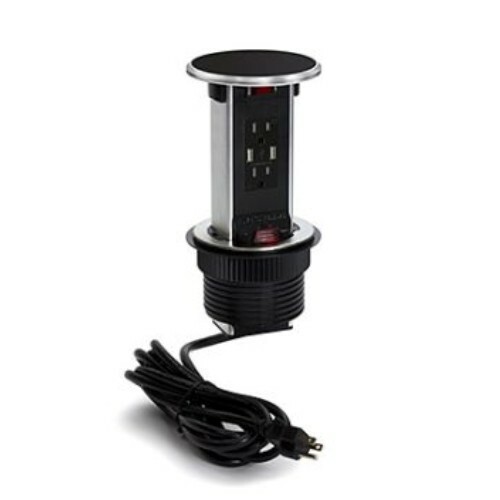 The VRPU.2USB.BK is a round tower pop-up outlet bar with a duplex 15A/2USB outlet and a black top. Please note these are intended to be installed into desktops or tables. They are not intended for use in counter tops. For installation in a counter top please consult with your local electrical inspector.